The season of red clay is reaching its climax. Excitement is building. Players are beginning to gather in Paris to prepare for Roland Garros. Roger Federer is there and Stefan Edberg is part of his team. Cant help looking at knees after my surgery and do wonder if Roger has had anything done on his right knee, there seems to be a small hollow .... a scar? .... beside the knee cap. Or are his muscles, ligaments etc just very well defined? 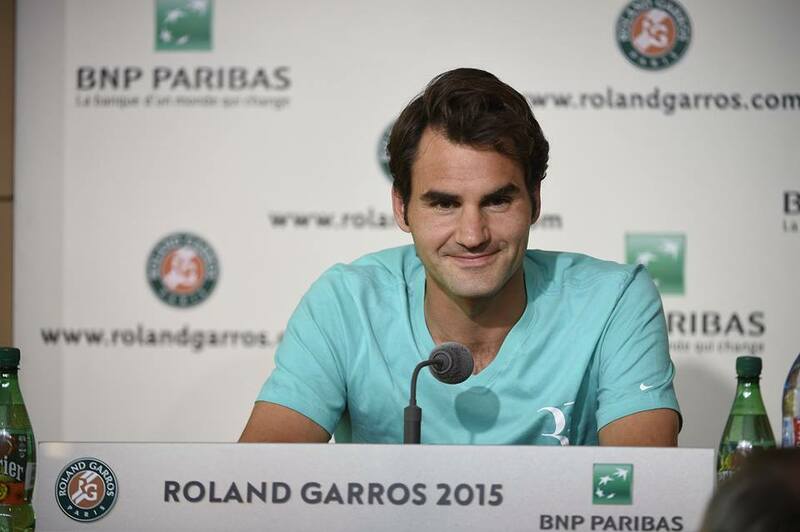 Video of Federer's practice and small interview: "Roland Garros holds great memories for me"
Great pics. Good to see Wendy_redRobin and Sausan posting again. Other than a potential 4th round meeting with La Monf, Fed could not have asked for a better draw. I would be curious to see your round-by-round pre-tournament thoughts and analysis. Happy Memorial Day (from the U.S.), and go Roger! Roger at the pre tournament press conference ..."My objective is not to lose"
Lets hope this objective is fulfilled At least neither Rafa is not in Roger's section of the draw, but having said that, you can never rule out the possibility that any player who has made the final draw will have a really good day and surprise the pundits. Roger has some tough opponents in his section.